Mathematicians have discovered a problem they cannot solve. It's not that they're not smart enough; there simply is no answer, Fox reports. The problem has to do with machine learning — the type of artificial-intelligence models some computers use to "learn" how to do a specific task. When Facebook or Google recognizes a photo of you and suggests that you tag yourself, it's using machine learning. When a self-driving car navigates a busy intersection, that's machine learning in action. Neuroscientists use machine learning to "read" someone’s thoughts. The thing about machine learning is that it's based on math. And as a result, mathematicians can study it and understand it on a theoretical level. They can write proofs about how machine learning works that are absolute and apply them in every case. In this case, a team of mathematicians designed a machine-learning problem called "estimating the maximum" or "EMX." To understand how EMX works, imagine this: You want to place ads on a website and maximize how many viewers will be targeted by these ads. You have ads pitching to sports fans, cat lovers, car fanatics and exercise buffs, etc.. But you don't know in advance who is going to visit the site. How do you pick a selection of ads that will maximize how many viewers you target? EMX has to figure out the answer with just a small amount of data on who visits the site. The researchers then asked a question: When can EMX solve a problem? In other machine-learning problems, mathematicians can usually say if the learning problem can be solved in a given case based on the data set they have. Can the underlying method Google uses to recognize your face be applied to predicting stock market trends? I don't know, but someone might. The trouble is, math is sort of broken. It's been broken since 1931, when the logician Kurt Gödel published his famous incompleteness theorems. They showed that in any mathematical system, there are certain questions that cannot be answered. They're not really difficult — they're unknowable. Mathematicians learned that their ability to understand the universe was fundamentally limited. 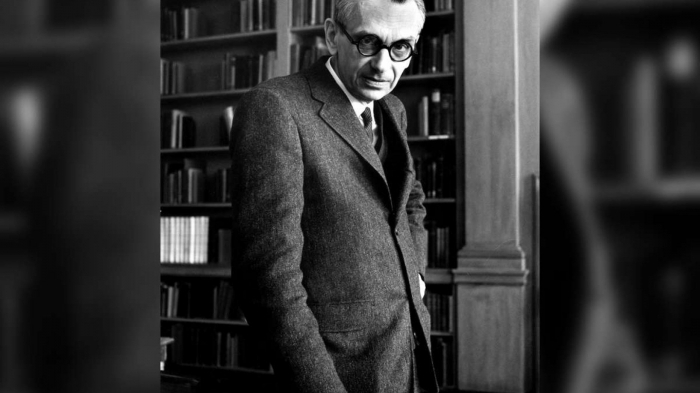 Gödel and another mathematician named Paul Cohen found an example: the continuum hypothesis. The continuum hypothesis goes like this: Mathematicians already know that there are infinities of different sizes. For instance, there are infinitely many integers (numbers like 1, 2, 3, 4, 5 and so on); and there are infinitely many real numbers (which include numbers like 1, 2, 3 and so on, but they also include numbers like 1.8 and 5,222.7 and pi). But even though there are infinitely many integers and infinitely many real numbers, there are clearly more real numbers than there are integers. Which raises the question, are there any infinities larger than the set of integers but smaller than the set of real numbers? The continuum hypothesis says, yes, there are. Gödel and Cohen showed that it's impossible to prove that the continuum hypothesis is right, but also it's impossible to prove that it's wrong. "Is the continuum hypothesis true?" is a question without an answer. In a paper published Monday, Jan. 7, in the journal Nature Machine Intelligence, the researchers showed that EMX is inextricably linked to the continuum hypothesis. It turns out that EMX can solve a problem only if the continuum hypothesis is true. But if it's not true, EMX can't.. That means that the question, "Can EMX learn to solve this problem?" has an answer as unknowable as the continuum hypothesis itself. The good news is that the solution to the continuum hypothesis isn't very important to most of mathematics. And, similarly, this permanent mystery might not create a major obstacle to machine learning. "Because EMX is a new model in machine learning, we do not yet know its usefulness for developing real-world algorithms," Lev Reyzin, a professor of mathematics at the University of Illinois in Chicago, who did not work on the paper, wrote in an accompanying Nature News & V iews article . "So these results might not turn out to have practical importance," Reyzin wrote. Running up against an unsolvable problem, Reyzin wrote, is a sort of feather in the cap of machine-learning researchers. It's evidence, that machine learning has "matured as a mathematical discipline," Reyzin wrote. Machine learning, "now joins the many subfields of mathematics that deal with the burden of unprovability and the unease that comes with it," Reyzin wrote. Perhaps results such as this one will bring to the field of machine learning a healthy dose of humility, even as machine-learning algorithms continue to revolutionize the world around us. "